The SoakShield rope is also used to collect the water that would absorb into the top layer of what the dashboard is covered in. Example: Leather, Suede, Vinyl, and Cloth. When water is left to sit on the edges of the dash it can cause the material to unglue and curl up on the edges, damaging the whole dashboard. Made of microfiber strands braided together by hand for window tinters by tinters. Used by Installers World Wide. This braided Absorbent rope is tucked between the bottom of the windshield and the dashboard to stop and soak up the water running down behind the dash and causing issues with electronics. • Original Standard size is 5-6′ long depending on stretching it out during installation. Great for your average coupe, sedan, compact SUV. • Our XL size SoakShield rope able to extend the dash on larger Cars, Trucks, Vans, and SUVs. 18” longer than Original. • The Mini size SoakShield is the same length as the original only 30% thinner. Able to fit better it tight gap spaced. Works great for back windows also. • Ends coated to prevent Frey of strands. • 90-day free replacement if defect from workmanship. 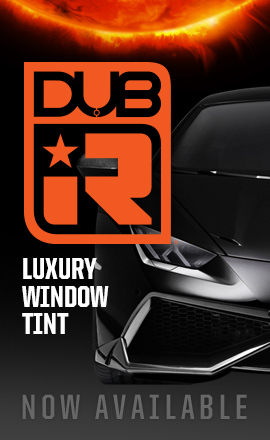 The window tinting industries first and only absorbent rope braid used for absorbing water running down behind the dash of a vehicle while installing film. Helping to protect the electronics and other parts from water damage. www.soakshield.com www.facebook.com/SoakShield www.instagram.com/SoakShield The window tinting industries first and only absorbent rope braid used for absorbing water running down behind the dash of a vehicle while installing film. Helping to protect the electronics and other parts from water damage. Made of microfiber strands braided together by hand for window tinters by tinters. Thousands of SoakShield ropes in the hands of installers all over the world. This braided Absorbent rope is tucked between the bottom of the windshield and the dashboard to stop and soak up the water running down behind the dash and causing issues with electronics. As well as soaking up the water from getting under Leather wrapped dashboards that would cause them to curl up and unglued. - XL SoakShield ropes size is 18” longer than Original able to extend the dash of most Cars, Trucks, Vans, and SUVs. - Original size is 5-6' long depending on stretching it out during installation. Great for your average coupe, sedan, compact SUV. - Mini (30% less diameter for tighter windshield gaps but same length as original) Works great for back windows also. - 20 rope color options to choose from and 10 pre made color blended sets. Match your shop colors, film brand, or just favorite colors. - Ends coated to prevent Frey of strands. - 90 day free replacement if defect from workmanship. - Machine Washable. - Made in the USA You can get one of each size as an Installer Set. That is 3 ropes - XL, Original, and Mini. ©2016 Service Group Distribution - All Rights Reserved.